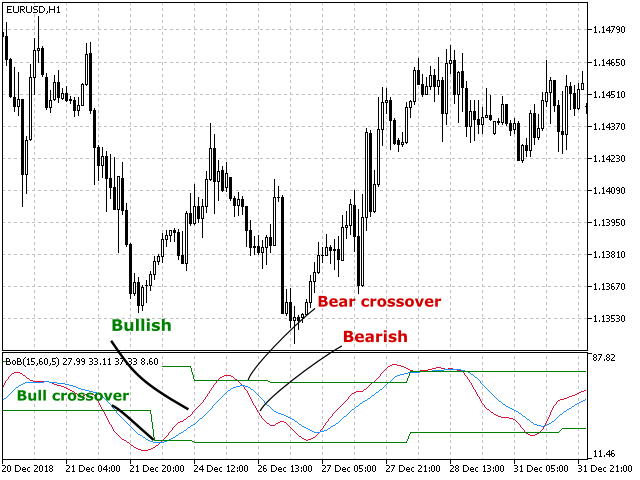 Bull or Bear (BoB) is a technical analysis indicator, showing moving trend and reversal, Celling line and Floor line. 1. When the BoB line is moving upward, shows bullish movement. 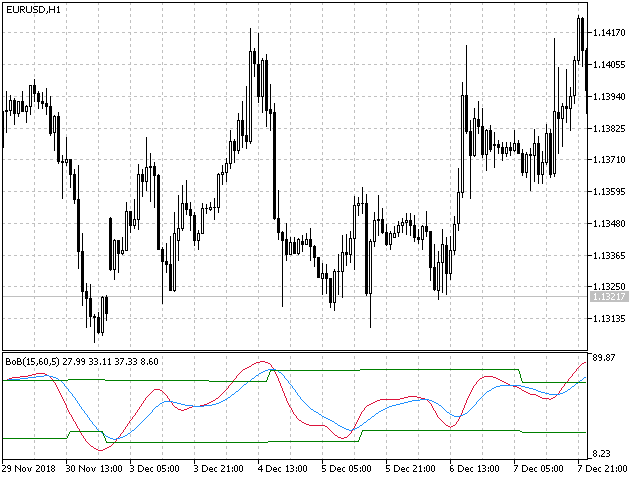 when it is moving downward, shows bearish movement. 2. when BoB Line up crossover Signal Line, shows the upward trend is confirmed. when BoB Line down crossover Signal line, shows the downward trend is confirmed. 3. If BoB Line crossover Signal Line near the Floor line or Celling line, it is a more reliable signal. # NO REPAINT! no future data is used for calculation. # NO FUTURE DATA! Celling and Floor lines have no future data is used for calclation. This indicator is plotted in separate window.